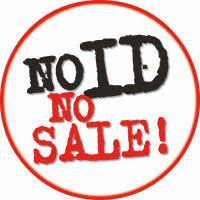 Two Worcester Park outlets are sat well and truly on the licensing naughty-step after selling alcohol to underage customers in a test purchasing operation organised by Sutton Council. The Drill public house on Cheam Common Road and Sainsbury's on Central Road both failed to check for proof of age. Full marks though to the 'Off Licence' (next to CazBar) on Central Road who checked age and refused service, passing the test with flying colours.